I have been searching for a watershed layer for California or for the entire US that encompasses all upstream area from ocean outlets (e.g. the entire catchment draining into each ocean output). I have found the different HUC levels in the Watershed Boundary Dataset, however, these either group multiple outlets together or do not represent all upstream drainage area. There are a few different ways that I can imagine going about making this layer, however, I thought I would ask here first to make sure I am not reinventing the wheel. Sounds like you should at least be interested in HydroBasins. You can download it here--choose the level-12 product for finest resolution. 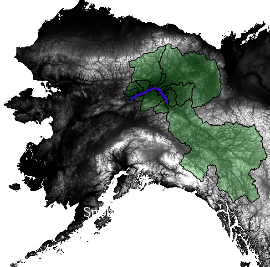 Each basin has an associated area, upstream drainage area, and downstream basin ID (along with some other properties). Subbasins as we move along the Yukon River. 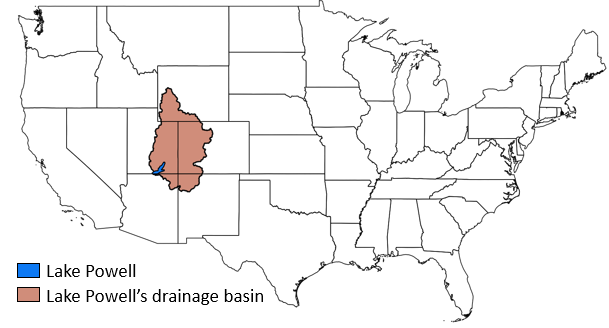 The average basin size in HydroBasins Level 12 product is ~250km^2. If you need finer resolution, you're gonna have to run hydro routing tools with a finer DEM than the 15 arc-second grid used to develop HydroBasins--and that will be not fun. I can't share my python script with you, but it's not too hard to figure out. Not the answer you're looking for? Browse other questions tagged data united-states hydrology or ask your own question. Where can I find GIS files that shows the 11 nations of the USA? Delineating coastal subbasins using SAGA GIS or GRASS in QGIS? Seeking Chesapeake Bay Watershed Boundary Shapefile?